The recent My Friend Fred blog opened a new chapter of Elephant Story blogs by not talking as much about Asian elephants as to define the war-torn years that impacted the elephant population and culture more than anyone might have imagined. Many of the people who suffered the greatest were ethnic minorities who fought against the alleged bad guys not as mercenaries but as disenfranchised ethnic groups that happened to live in someone else's country. In writing about Fred being evacuated from Chad, I recalled a photo he took of a single French Legionnaire with hands on hips standing down an armored personnel carrier of heavily armed Chadian guerilla fighters trying to capture the airport where all of the foreign evacuees were awaiting air transport home. You should keep in mind, Fred said the week or so holed up in the airport was not so bad as there were foie gras rations and a great supply of Bordeaux wine. The French Foreign Legion was formed in 1831 with foreign nationals who owed their allegiance to the Foreign Legion and neither their place of birth nor France. It became a country allegiance unto itself. Since its formation, legionnaires from 140 countries have served and many of them went on to become French citizens even though that may not have been the prime motivation to enlist for such a hardship role. Over 40,000 of them perished serving their own peculiar Foreign Legion flag and national identity. 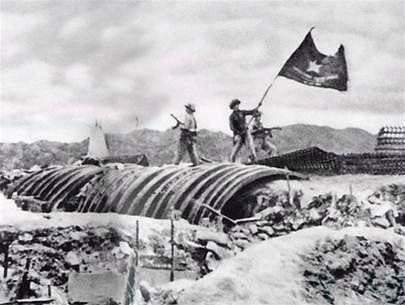 Moreover, they represented a large majority of those who fell at the General Giap, Viet Minh 1954 communist victory against the "French" at Dien Bien Phu, Vietnam which re-defined life in Southeast Asia for the next three decades and beyond. 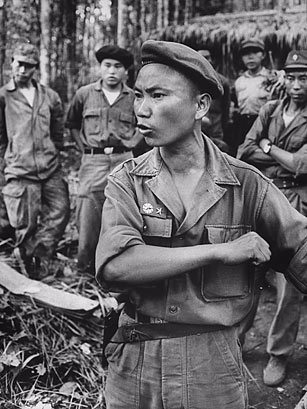 Following the storm unleashed at Dien Bien Phu shown above, a host of indigenous ethnic minorities were enlisted to fight in support of the United States in former French Indochina. They were the Degar or Montagnards shown below in the Central Highlands of Vietnam who were trained by the United States. Only 2,000 of them were ultimately evacuated out of Vietnam following many years of service and great casualties. Those left behind did not fare well. The Hmong under the leadership of Colonel Vang Pao shown below represented the majority of the United States fighting force in Laos until the April, 1975 fall to the Pathet Lao and Vietnamese. Over 29,000 Hmong perished in the war and only a relatively small number were evacuated to the United States, including Colonel Vang Pao, shown above, who settled in California. Once again those left behind suffered a similar fate to the Montagnards in Vietnam. Vang Pao continued to resist the communists in Laos until 2007 when US federal agents arrested him on a conspiracy sting operation to over throw the Lao communist Government, one he had been trained to fight for many years. A human outcry from some Americans with memories resulted in his release from federal custody. 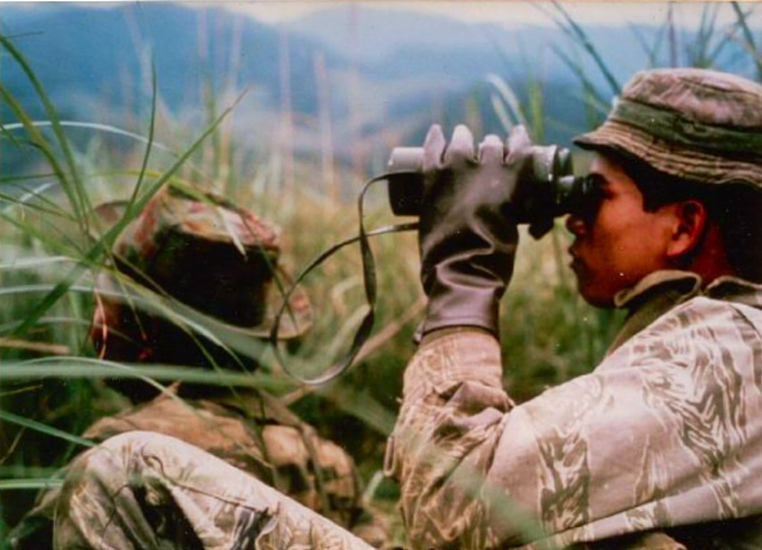 There are other ethnic minority "states within states" that either had or currently have their own military capability in the region worth noting such as the Yao in Laos who also fought for the U.S. In fact, the Karen in Myanmar have existing forces in the Karen National Liberation Army which have been at war with the military of that country since 1949. However, the message here is these ethnic groups have their own identity including language and customs, are often maligned and endure discrimination in their host countries, are used by more powerful others when it serves their interests and then discarded when it is over. Several of these tribal groups were elephant people. As they were discarded, it should be no surprise that their elephants were overlooked in the process. Nonetheless, these people marched to their own drummer and were not mercenaries. These colorful 100% cotton scarves are actually called a Krama in Cambodia. A Krama (Khmer) is a sturdy traditional Cambodian garment with many uses, including as a scarf, bandanna, to carry children, to cover the face, and for decorative purposes. It is worn by men, women and children, and can be fairly ornate, though most typical krama's contain a gingham pattern of some sort, and traditionally come in either red or blue. The weavers in Cambodia where these were purchased for The Elephant Story was featured in our video blog on August 4th of last year.